Are you currently in a trade, or have a trade idea for the board? 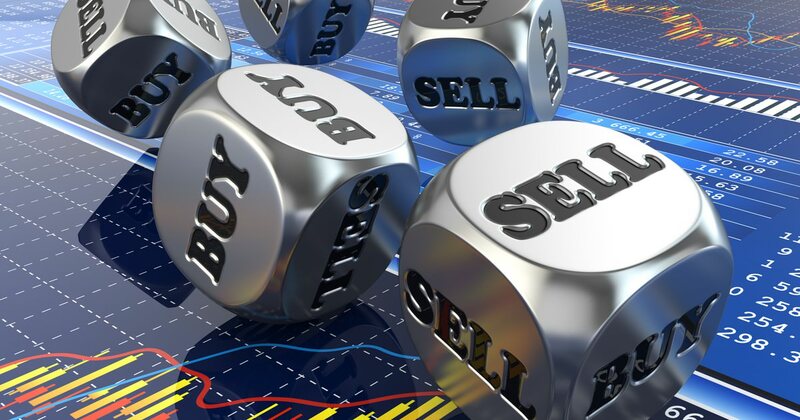 This is the daily HOT STOCKS trading thread for discussing all things intraday stock & swing trading! These are Shippers (Boats)! A handful of Freight stocks historically go x 5+ every November due to earning revenues being released. These are all swing trades and should be held for a few days minimum. They've gone through their 'maximum pain aka lows' and are charts are green over next 3 days. BUY. ESEA - Euroseas currently @ $1.68 expected to be over $3 by Friday. Earnings released in 48 hours. IFMK - iFresh, Inc. currently @ $1.32. iFresh engages in the management of grocery supermarket chain and online grocer. The company offers a range of food products such as vegetables, fruits, and seafood and other merchandise. It operates through the Wholesale and Retail segments. GLBS - Globus Maritime, currently @ $8.60 expected to be over $15+ by end of week. Globus Maritime is a dry bulk shipping holding company. It engages in the provision of marine transportation services. PXS - Pyxis Tankers Inc, currently @ $2.75 expected to be over $7+ by end of week.is an international maritime transportation holding company, which engages in the maritime transportation business with a focus on the tanker sector. Intel has a Zacks Rank #1 (Strong Buy) and “B” grades for Value and Growth in our Style Scores system. The chip behemoth has fared better than many of its peers this year, and part of that is because it has fought hard to win back market share from key competitors. Investors might also find refuge in its relatively stability and 2.5% dividend yield. Moreover, the stock looks attractively priced at just 10.6x earnings. SQ - Square currently @ $72.50 expected to be over $125 by February '19. Square, Inc. engages in the provision of credit card payment processing solutions. The firm offers additional point-of-sale services, financial services, and marketing services. Considered a FANG stock, Square is one of my favorites and I recommend holding it for a year or more. I have yet to buy any shares, but soon. INPX - Inpixon currently @ $4.16 expected to be over $12 by December 1. Inpixon engages in the provision of indoor positioning and data analytics services. It operates through the Indoor Positioning Analytics and Infrastructure segments. ANY - Sphere 3D currently @ $6.36 expected to be over $12 by next week. 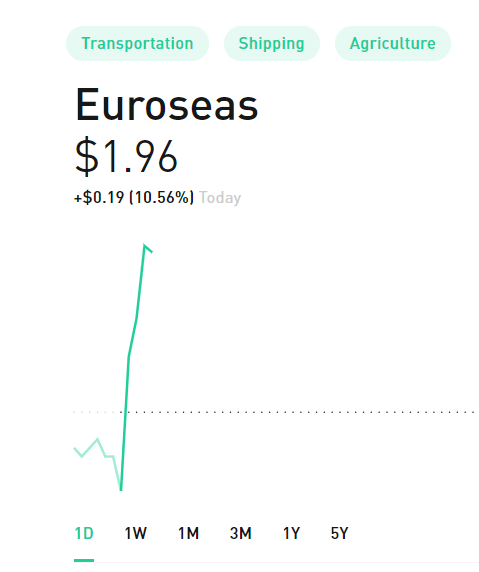 Up 101% today. Sphere 3D Corp. engages in the provision of data management, and desktop and application virtualization solutions for small and medium businesses and distributed enterprises. SEED - Origin Agritech currently @ $7.70 expected to be over $50 by 2Q 2019. Origin Agritech Ltd. operates as a holding company. Through its subsidiaries, it engages in the research and development, production, sale, and distribution of hybrid agricultural crop seeds. Intel should be its own thread... Solid/Long stock and you'll continue with updates. RGSE - Real Goods Solar currently @ .74 expected to be over the moon in 2019. Provides solar energy systems to homeowners, and commercial building owners. It offers turnkey services, including design, procurement, permitting, build-out, grid connection, financing referrals, and warranty and customer satisfaction activities. 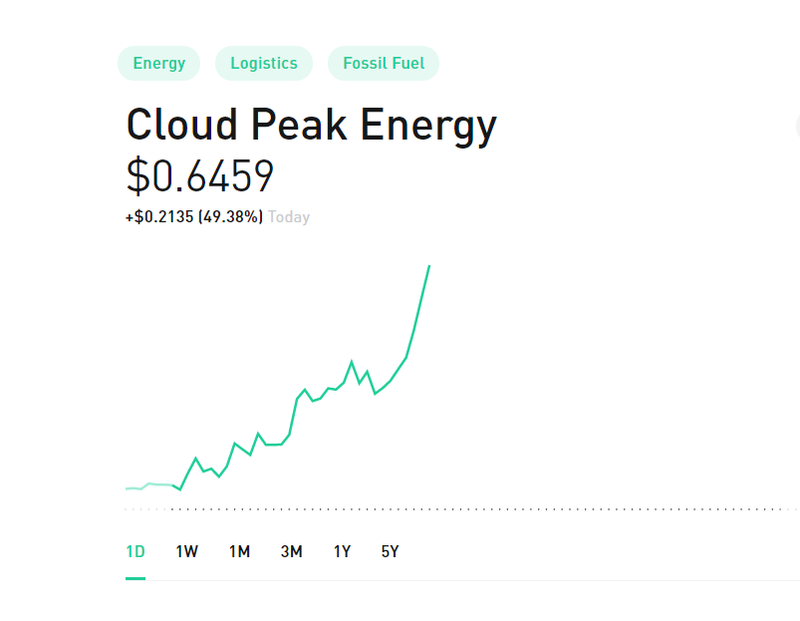 CLD - Cloud Peak Energy currently @ .54 expected to be over 1 dollar this week. Cloud Peak Energy, Inc. engages in coal mines operations. Its activities include: Antelope Mine, Cordero Rojo Mine and Spring Creek Mine. It operates through the following segments: Owned & Operated Mines and Logistics & Related Activities. ON FIRE TODAY! Anyone here that follows stocks needs to look @ this ASAP. CLD... could've put you kids through college this morning.